A visit with my niece, Alex, to the Wema Centre Children’s Home at Bamburi in Mombasa where street children are rehabilitated was one of the highlights of my visit to Kenya in February. 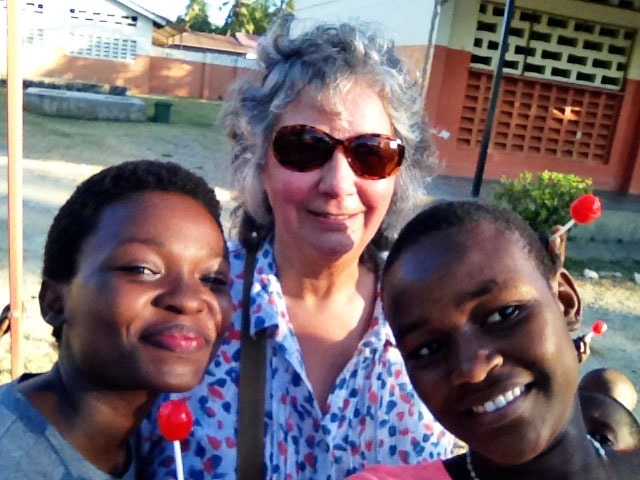 We were accompanied by Alex’s housekeeper, Martha Mwakio, who received a delighted welcome from several teenage girls at the centre because ten years ago she had been their housemother. The girls were back home at the centre as it was the half term holiday at the boarding schools they now attend. Martha told us that they would have a home there until they were able to make a life for themselves elsewhere. Wema means “well-being” and those girls are excellent examples of what is being achieved at the centre. They were full of vitality and confidence and were only too pleased to take us on a fun-filled two-hour tour of the centre. First we had a delivery to make. I had brought some clothing and school equipment from England (below – photo by Alex), about half of which had been donated by Alison Kate Ofori-Atta, and Alex had bought some foodstuffs for the centre. To my surprise, some time later I was presented with an itemised invoice. This attention to detail and good housekeeping was obvious throughout our tour. Click on the picture below to see more photos on Flickr. That was so apparent in just how clean the whole centre was. Alex was astonished that when she gave the smallest boys lollipops they immediately put the wrappers in a waste bin BEFORE they began enjoying those sweets. It wasn’t long before it was obvious that one of the girls, Ann, was probably more competent with an iPad than I was so I let her take photographs with mine. She and her friends had a lot of fun and I was very pleased with the results. The children at the centre are introduced to computers and modern technology very early. The centre provides “work experience” at all levels. One group had donned tunics and were busy learning how to deep clean. In the next classroom a group of girls, under the guidance of Kathleen (one of Martha’s “girls”) were learning to sew using treadle machines – a useful skill if later they don’t have access to electricity. Next door some were using electric sewing machines and fulfilling tailoring orders for local businesses. The founder of the this charitable organisation, Kenyan businesswoman Lucy Yinda, wrote in her MA (Sociology) degree thesis in 2009 (The Impact of Rehabilitation Approaches on the Education of Street Children in Mombasa Town) that parental love was one of the key factors in improving the children’s educational opportunities (p64). At the Wema centre which was founded in 1993 this is provided by housemothers although a lot of effort is also put into re-uniting children with their families. 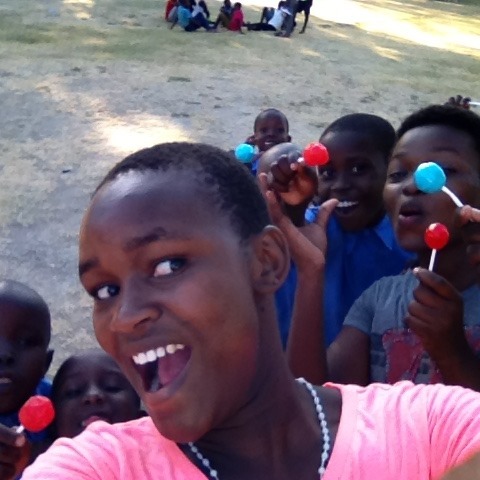 Martha explained that the children at the centre were encouraged to remain in contact with their families and could return to them whenever they wanted. She described how one girl had been found under a tree with her aunt and her cousins. It was agreed that all the children would go to the Wema Centre. The girl’s mother, who was probably a prostitute, visited on occasions but the girl chose to remain part of the Wema family. Mrs Yinda wrote: “Organizations that work with street children should ensure that children are rescued from the streets within the first two years of their entry into the streets. Such early intervention would give street children a much better chance of rehabilitation and/or continuing with the education system.” (Ibid p74) For that reason social workers from the Wema Centre are regularly scouring the streets to find children who have newly arrived. She has no doubt that street children in residential institutions have far greater opportunities for education due to residential care and provision of services such as food, clothing and medical care (Ibid ix) and that was why she took the first six girls she recovered from the streets into her own home in 1993 leading to the birth of the Wema Centre. For many years the Wema Centre only took in just girls but now there is a boys’ dormitory as well. 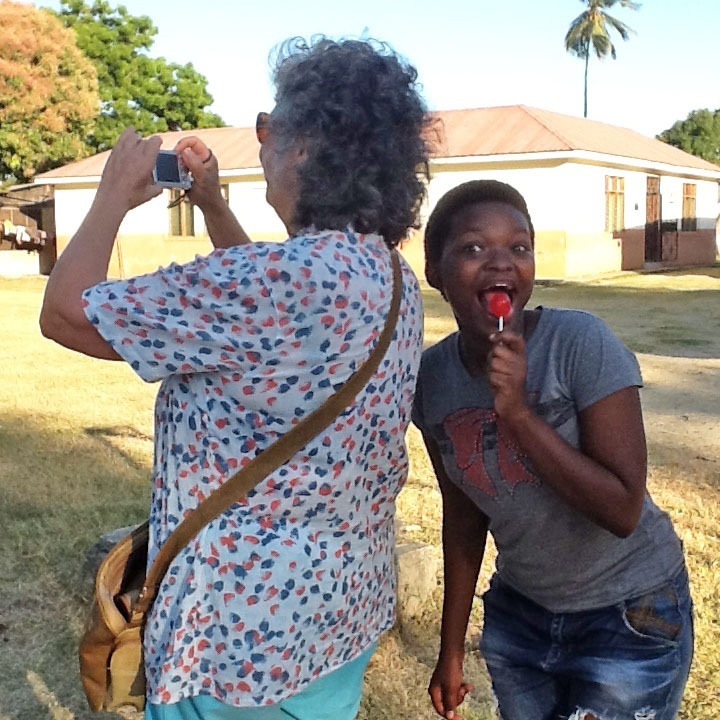 It was so evident from the girls that took us on that tour that by being rescued at a young age had given them the opportunity to look forward to a very different life to that they would have known if they had continued as street children. They took us to see the “common room” which was equipped with a television and to the dining area with attached kitchen. 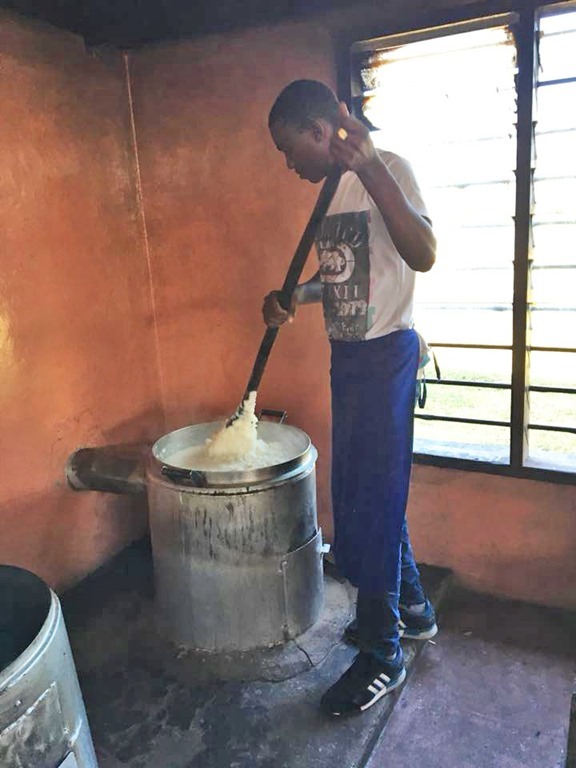 In the latter a young man was mixing a large pot full of ugali (thick maize flour “porridge”) which was being cooked on a wood burning stove (Below – photo by Alex). Her garden is part of a conservation area and the company had recently had some old trees chopped down. She didn’t want those piles of wood left too long as they would attract rats, snakes and termites. A quick chat with a Wema Centre staff member and the problem was solved. Within a day a team arrived from the centre to collect the wood which would fuel the stoves in the kitchens for maybe three weeks. As we left the dining room we saw young girls filling buckets and bowls with water. Martha explained that even at such a young age the girls were expected to wash their own clothes. We also visited the library, the small farm, the vegetable gardens and the fish pond. 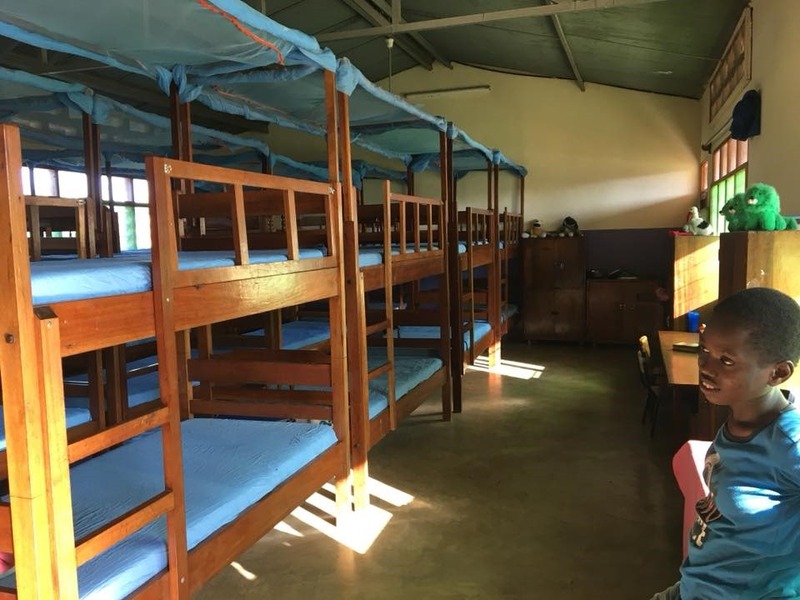 And we saw the boys’ dormitory which was just as clean – but with far fewer bunk beds as there are not many boys yet. There are two Wema Centres (the other is at Thika) and both provide educational support for children who cannot leave the streets as they are helping to earn money for their families. I’m definitely adding Lucy Yinda to my list of inspirational women! And the girls who took us around the centre were truly inspirational as well. 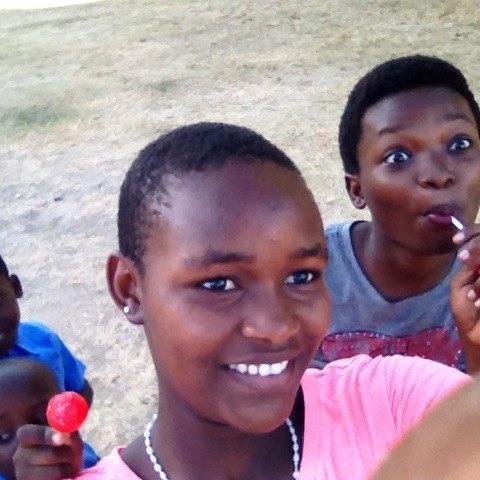 Below: Two of Ann’s selfies, and one of Esther having fun. Do look at the photos of our tour by clicking on the photo of the boys receiving the clothes.